If adventure pleases you and nature fuels you, then take our jeep safari from Manali to Leh. These jeep safari tours bestow seamless adventure of driving through unbeaten paths amidst nature. Manali to Leh jeep safari is great to push your limits and witness the most pleasurable vistas of nature. 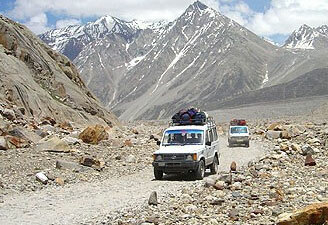 We offer guided Manali Leh jeep safari tour which is safe and comfortable. Jeep safari travel in India remains the best way to explore the off-beaten tracks and visit some less accessible places away from the modern world. 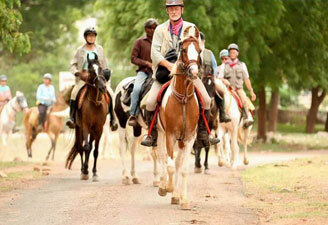 Our team holds expertise in arranging jeep safari travel tours. Arrive Delhi and transfer to Hotel. Overnight stay at Hotel in Delhi. Depart Delhi for Chandigarh by road. Arrive and transfer to Hotel. In the afternoon proceed for sightseeing of Chandigarh. Overnight stay at Hotel in Chandigarh. After breakfast half day hiking to old Manali - Burwa village. Overnight stay at Hotel in Manali. 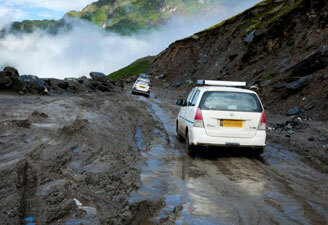 Drive to Tandi via Rohtang pass (3980 M). Tandi is situated at the altitude of 2573 meters at the confluence of the Chandra and Bhaga river. Arrive Tandi in the evening. Dinner and overnight at Drilbu Retreat in Tandi. Drive on Leh route and the road winds through extensive fields and along river Bhaga. Stop at Darcha for Passport check. Continue the drive to Baralachla pass 4883 Mtrs. There is a lake known as Surajtal and it is worth to stop here for pictures. Finally we reach Sarchu which is the boundary line between Himachal and Jammu & Kashmir state. Dinner and overnight at Swiss Cottage Tents. Leave early morning and drive through Lachungla Pass 5065 mtrs. At lunch time we stop at Pang. From here there are chances to see tiny colonies of Marmots on the Morea plains. Finally we reach the camp site at Tsoker . Morning at leisure or explore the nearby Tsoker lake. Then drive to Tsomoriri, one of the highest lakes in the world, lying in the Changthang (literally meaning, northern plains) region, between 4000-5000 m altitude. Leave in the morning and drive to Chumathang. From here the road turns towards left and reach Karu. Chumathang is famous for medical hot spring. On the way visit Mahy bridge, Chumatang then stop at Upshi check post. Overnight stay at Hotel in Leh. Early morning proceed to Nubra Valley via Khardungla pass on the world's highest motorable road. Arrive Nubra by noon and check in at Camps. Evening is at leisure. Overnight in the camp. After breakfast proceed for a visit to the White Sand Dunes at Hunder. 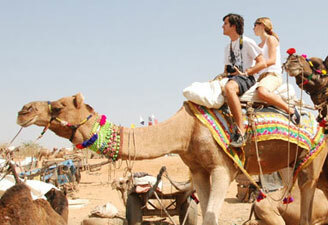 You can enjoy the camel ride (On Own). Visit Hunder and Diskit monasteries. Evening visit Samstaling Monastery Overnight in the camp. After breakfast proceed for Leh, once again driving via Khardungla pass. Evening explore Leh bazaar for souvenir, visit Leh Jokhang or Leh Mosque by foot. Overnight at the hotel in Leh.